UPDATED: Thu., Aug. 16, 2018, 11:37 a.m. The Davis Cup is getting a radical makeover in hopes of reviving an event that has lost some luster. Beginning next year, the top team event in men’s tennis will be decided with a season-ending, 18-team tournament at a neutral site. The $3 billion, 25-year agreement was approved Thursday at the organization’s conference in Orlando, Florida. Two-thirds of the delegates needed to vote for the reforms, and 71 percent did. The finalists will be placed into six, three-team groups for round-robin play, involving two singles matches and one doubles, all best-of-three-sets – instead of the current best-of-five format featuring four singles matches and one doubles. The winners, along with the next two teams with the best records, will advance to the single-elimination quarterfinals. The original plan called for simply an 18-team championship at the end of the year, but was amended after some nations objected to the loss of home-site matches. So those were added to the proposal as the qualifying round, though that still wasn’t enough for critics of the plan who felt neutral-site matches were too much of a change for an event that dates to 1900. The Americans will play at Croatia in this year’s semifinals in September, with Spain and France meeting in the other semifinals. Top-ranked Rafael Nadal is expected to play for Spain, but Roger Federer has frequently passed on playing for Switzerland. 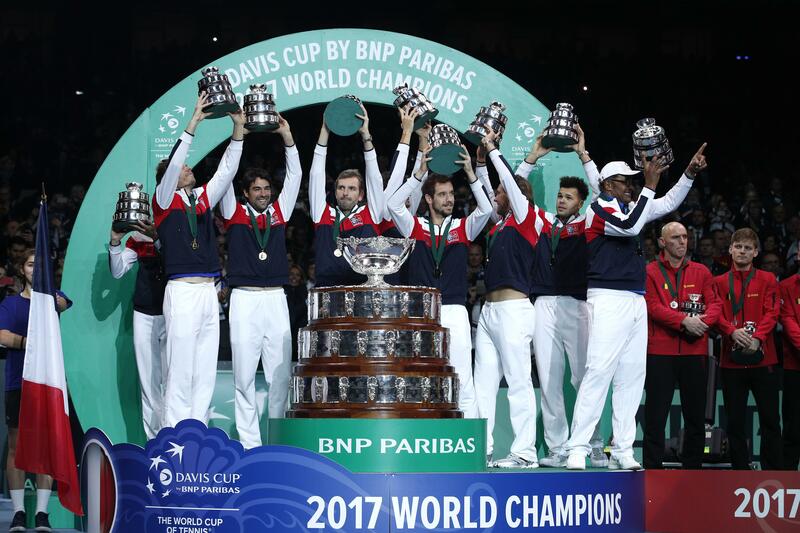 “This is the beginning of a new stage that guarantees the pre-eminent and legitimate place that the Davis Cup should have as a competition for national teams while adapting to the demands of this professional sport at the highest level,” he said in a statement. Published: Aug. 16, 2018, 8:21 a.m. Updated: Aug. 16, 2018, 11:37 a.m.